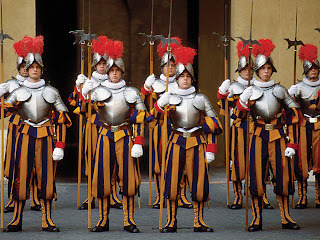 Completely surrounded by the city of Rome, Italy. 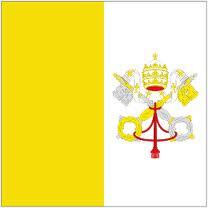 Also called the Holy City or the Holy See. Has a small population of about 770 people, none of whom are permanent residents. 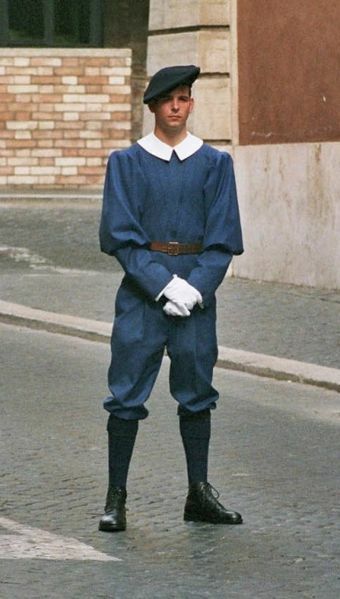 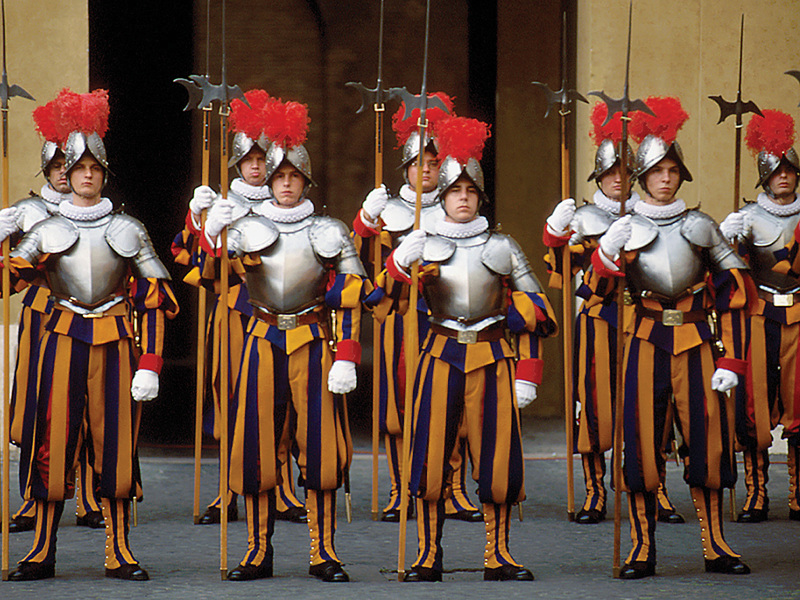 The Vatican is protected by what is considered the worlds smallest army, the Swiss Guard.